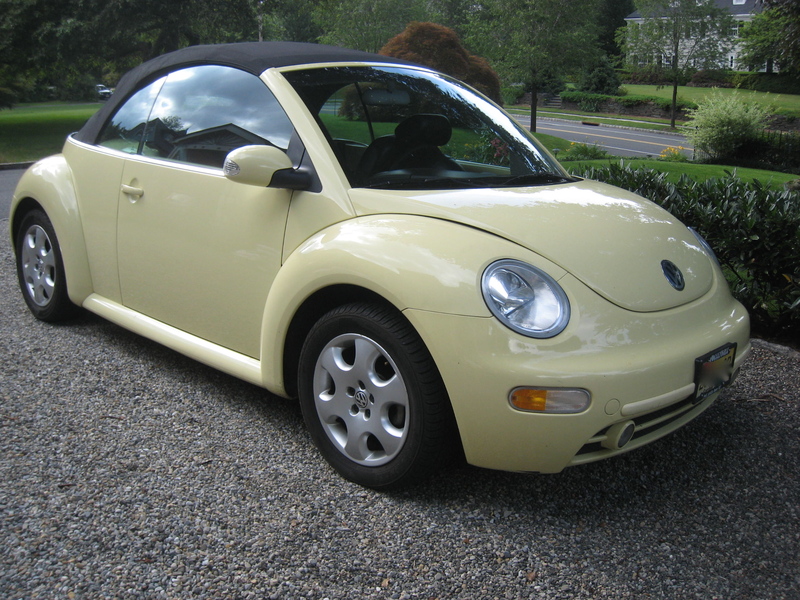 My daughter Tory’s beloved VW Bug Sunny is at her favorite mechanic to get her driver’s side window repaired. You may remember that Sunny’s power window cable broke when I was at our bank’s drive-through window a few weeks ago. I heard was a horrific grinding noise and quickly got the window up all but about 1”. 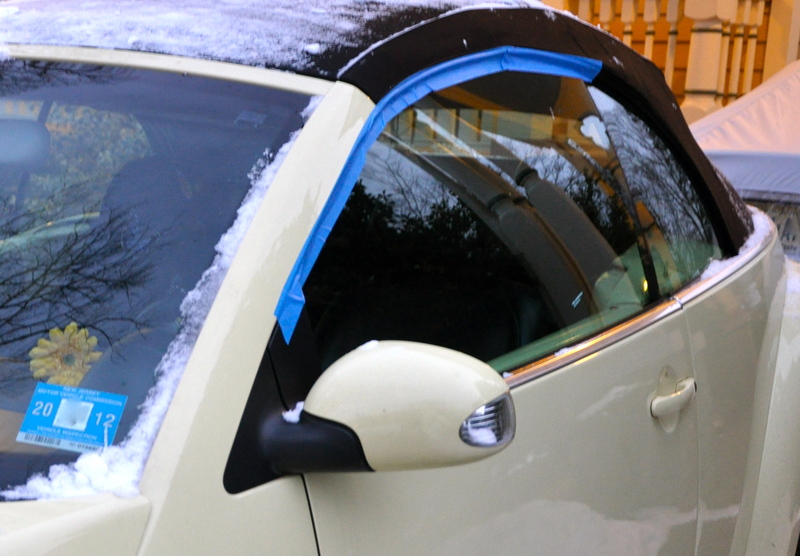 We’ve been using bright blue painter’s tape to seal the 1” gap prior to every snowstorm to prevent snowdrifts from gathering on her front seat. 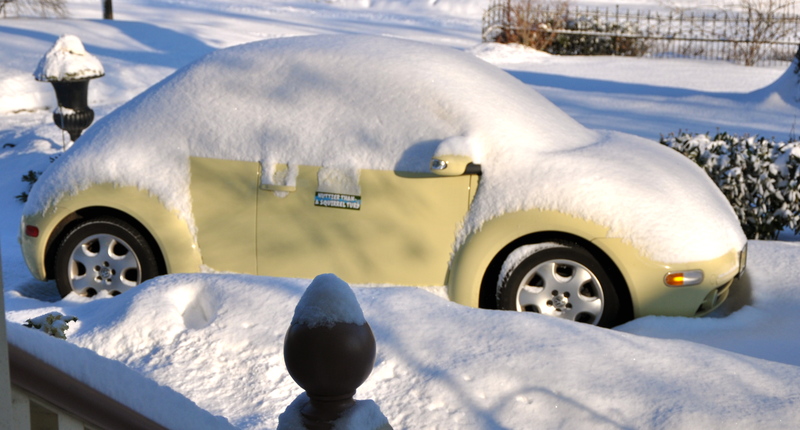 Painter's tape, a low-tech solution to preventing snow inside Sunny the VW Beetle. On Saturday, Sunny’s best friend the mechanic said she needs a new window regulator. Total Cost: $300. Plus Tax. Yesterday, Sunny’s boyfriend the mechanic called and said that when he dismantled the window unit he saw shredded teeth on Sunny’s window motor; the motor needs to be replaced too. Total Cost: $650. Plus Tax. Today, Sunny’s secret lover the mechanic called and said that he just found out the new regulator is a “superceded” one (fancy word for updated to better do its job) so that the matching motor it needs is a “superceded” motor. Bottom line: The whole shebang just got more expensive, $80 more expensive in this case. Total Cost: $730. Plus Tax. We can pay Sunny’s latest spa bill and pick her up late tomorrow, just in time for the weather rolling in to our area. This afternoon, the News Radio 88 newscaster mentioned that at the rate we’re going and with no letup in sight for the next two weeks (how does he know that anyway?!) Northern New Jersey’s snowfall for the 2010-2011 season could be one of the top ten EVER! How Exciting!! Not. This news does not make me happy, nor does his prediction that we’re getting snow again tomorrow: Maybe by 9 a.m., but definitely by noon, he said. And it’s supposed to snow all the rest of the live-long day, except when it’s raining. Tonight our local food stores had their typical run on bread and milk, and tomorrow after everyone has slip slid home from school and work, local folks will be drinking chocolate milk and eating buttered toast. Meanwhile, I will be. . . I daydream about peeling Sunny's VIN number off and abandoning her in a handy snowdrift. I fear Sunny’s teen years if her toddler years are this bad!